Does a darker line count if the line never went away??? Tomorrow will be a better test to see if it is just as dark or darker. What if my fmu was too concentrated or something? It could be a fluke. What are your amazing lady thoughts on this??? I have a problem. I told myself I wouldn’t test and that I would wait for the beta at my RE’s office next week. I guess I lied, lol. I tested yesterday and then again today. Really just to see if the trigger was out of my system. I don’t think it is. 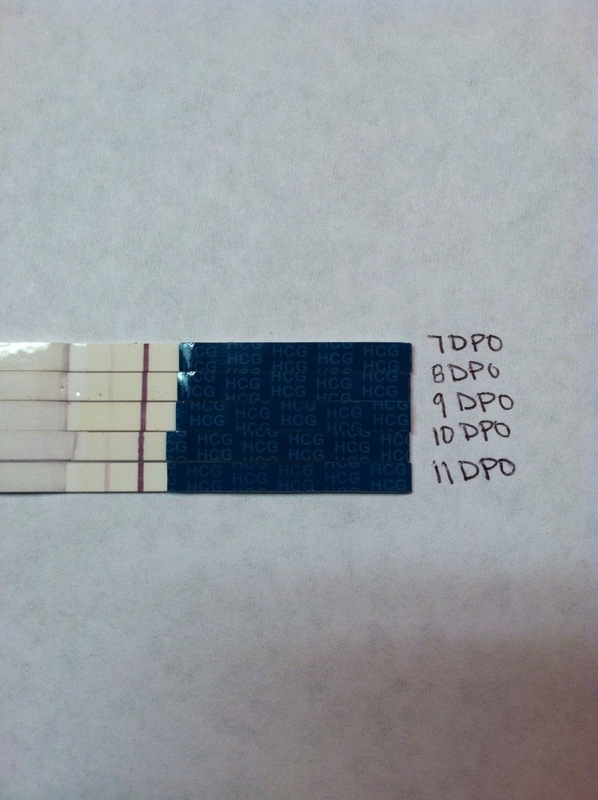 Last injectable cycle it was gone by 12 DPO, that is forever from now! 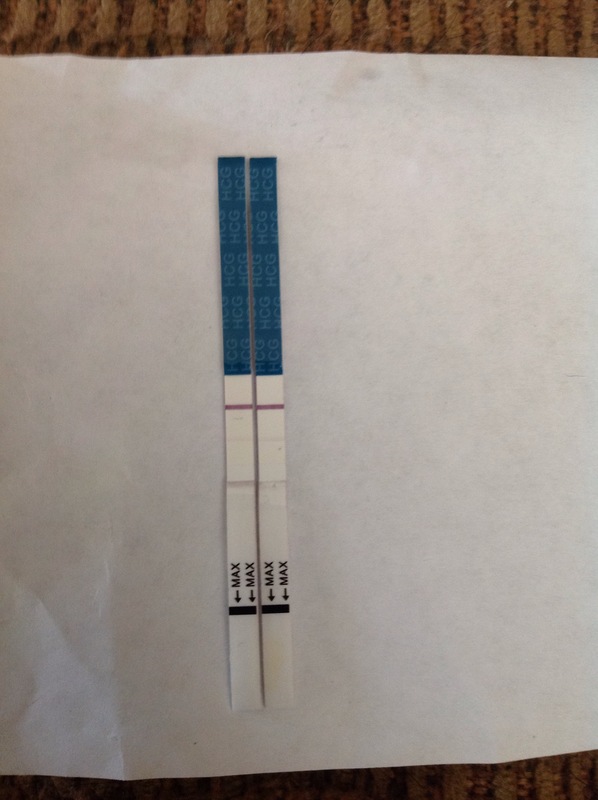 But it wasn’t this dark at 8DPO last time, and I kind of think it’s a little tiny bit darker today than it was yesterday. Your thoughts? The last three days I have had about 30 seconds of an actual cramp each day. I never cramp this far before my period. Maybe implantation cramping??? Wishful thinking. No spotting though. :(. On to something happy.. My bestest friend in the world got married this past weekend. 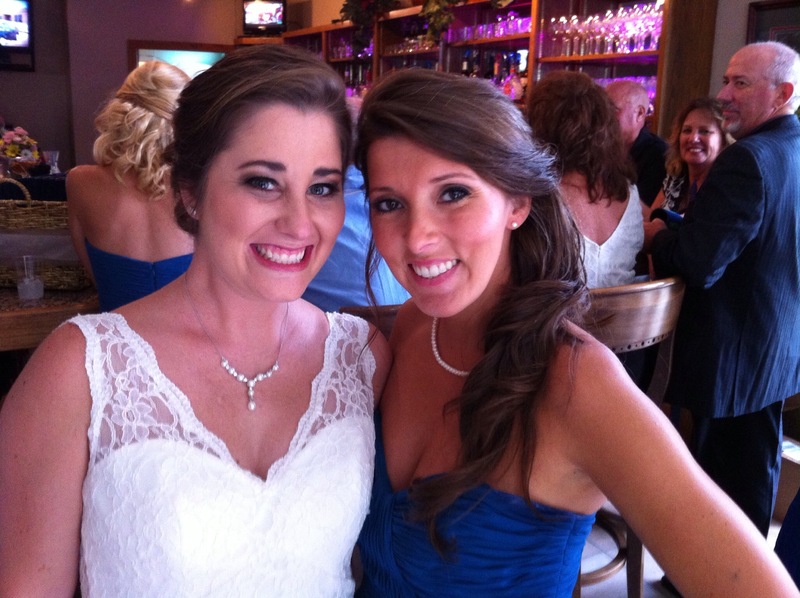 I was the matron of honor. Wasn’t she beautiful? We danced all night and since I was in my TWW I only had one drink, it was glorious! The best margarita ever. And this weekend I get to go to the Garth Brooks concert! Woo! I’m a little bummed I’m missing my husband’s football game this Friday. Don’t worry, he doesn’t play, he coaches high school football. They are doing so good! They are 4-0! I hope everyone has a great rest of the week! Prayers for everyone else is their TWW and those with losses. My heart is with you all!